SmartStrand Forever Clean uses advanced fiber technology in order to offer the highest level of beauty, comfort, and performance when protecting your carpet from pet stains. The carpet product is durable, easy to clean, and nontoxic, and offers a number of additional innovate features. The product has outstanding resilience to preserve style, beauty and the original appearance of your carpet. The carpet has built-in stain protection that will never wear off. Nanoloc spill and soil shield SmartStrand is three times easier to clean than traditional carpets. In addition, SmartStrand Forever Clean is zero-percent moisture absorbent â€“ rejecting any liquids â€“ allowing for a quick and easy clean up process. Pet accidents will not absorb into the carpet fiber, negating common pet-related odors. The product is made with renewable carpet fibers and is certified free of harmful substances. The carpet includes All Pet protection and Warranty. 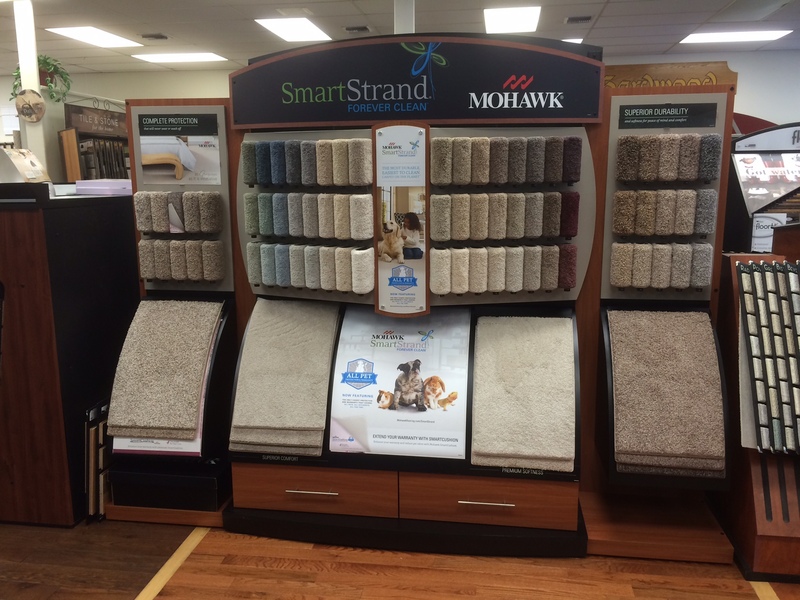 SmartStrand Forever Clean is a trusted product carried by Fred Callaghan Carpet and Flooring. Stop by our showroom to come and see our two new SmartStrand Forever displays. Our experienced sales professionals will highlight SmartStrand Foreverâ€™s complete protection plan and superior durability standards.